Grace is a Masters student who joined the lab in August 2017. 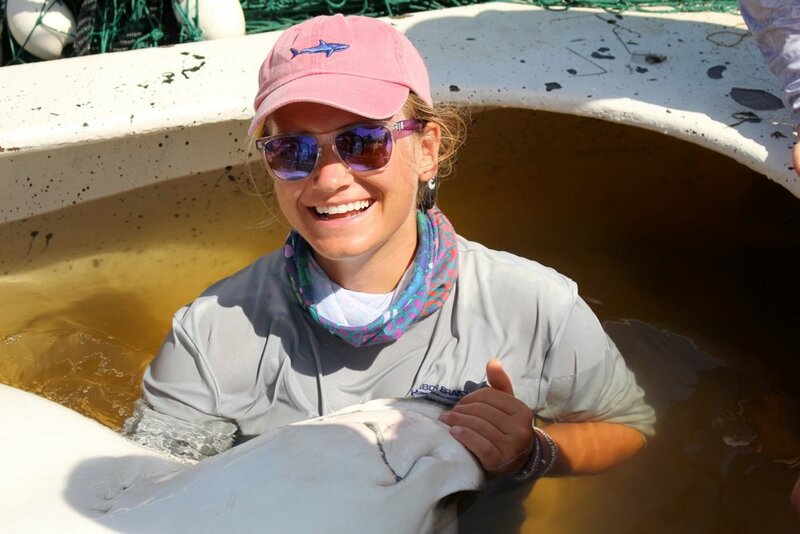 Her research focuses on the characterization of the distribution and habitat use of elasmobranchs in the southern Indian River Lagoon. Rachel is a Masters student who joined the lab in January 2018. Her research focuses on the movement patterns of white sharks and their nursery habitats near New York. Very little is known about this species’ reproductive ecology; understanding these patterns will help inform scientists and fisheries management to better protect this apex predator from anthropogenic and environmental vulnerabilities. Prior to joining the lab, she worked with Dr. Ajemian as a summer intern looking at megafauna assemblages, and used aerial surveys to compare historical and empirical data on nearshore hardbottom habitats. Rachel graduated with honors from Ferris State University with her Bachelors of Science in environmental biology, and also has her graduate certificate in Geographic Information Systems (GIS) from the University of Central Florida. For additional information regarding graduate programs at FAU, please visit the websites for the MS and PhD programs. Cameron’s research focused on characterizing spawning biology of bonefish (Albula vulpes) found in the the Bahamas.